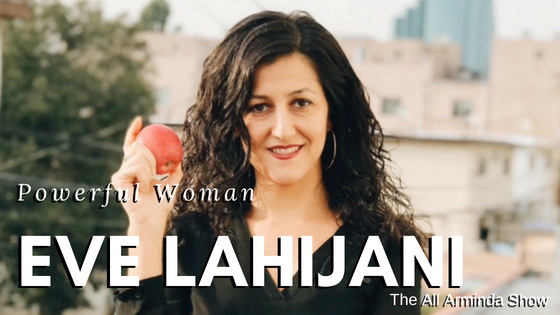 A Registered Dietitian Nutritionist, Eve Lahijani‘s journey to helping women (and some men) heal their relationship with food, trust their bodies and experience ease with food in any situation is only possible because she first did that for herself. From the time she was a very young girl, Eve felt unseen, unheard and unimportant, that her voice didn’t matter. The only thing she felt she had any power over was what went into her body, when she fed herself, and what amounts were “acceptable.” Her desire to exercise her innate power became a shameful, unhealthy, obsessive, and addictive relationship with food. I hope you enjoy this conversation. Let me know your thoughts in the comment section below! Eve Lahijani is a Registered Dietitian Nutritionist. She works with her clients using a non-diet approach that helps clients separate eating and food from their emotions and other issues. 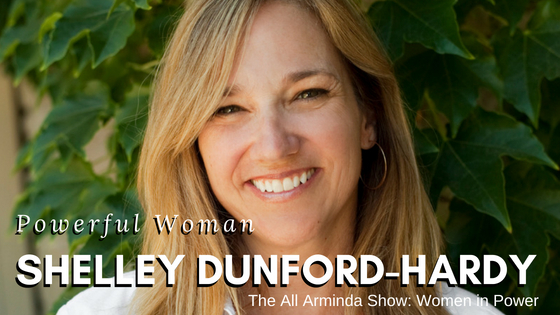 She specializes in helping those who engage in emotional eating, compulsive eating and other forms of non-hunger eating. Eve helps her clients from all over the world achieve lasting peace with their eating, having confidence in any food situation and really experience profound freedom! In her spare time, Eve loves to paint, read and swim. Episode Seven is where you’ll meet Shawn Richardson: mountain climber (three of the seven summits are complete), mother (three boys, ages 24, 22 & 19), and multidimensional mover and shaker in this world!! She openly admits that the journey she’s traveled to where she stands right now was catalyzed by her divorce. 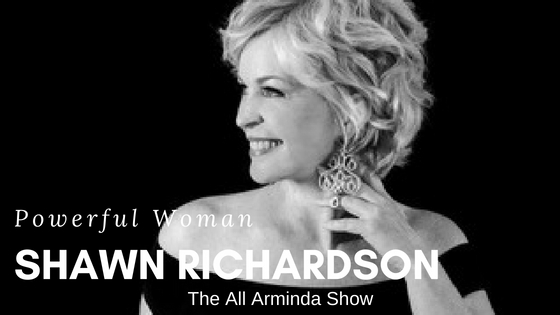 My favorite part of our discussion is listening to Shawn talk about her oldest son, Charlie, and how his life with special needs, and how she’s interpreted his life, have been “way showing” and transformational for her. Through her pioneering work, Shawn helps adults with special needs children achieve transformational shifts in their family dynamics, professional lives, and personal experience. I can’t wait to see what Shawn creates next and am certain you’ll be just as excited as I am to watch her shift our global consciousness around authentic workers. Please share your thoughts in the comments below and thanks for listening to the show! If you’d like to join our community, click here. Emma Holmes: I Found Out Accidentally! A scratch DJ, coach and surfer splitting her time between England and Hawaii, Emma Holmes is living the life she imagines every single day and shows others how to do the same. 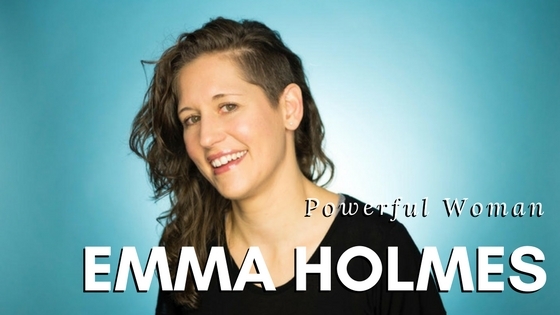 Emma created and runs School of Scratch – one of the world’s leading online training platforms for Scratch DJs to learn the art of scratching and is dedicated to assisting others become excellent at the art of scratching. In her work as a coach, Emma is an ambassador of stoke, empowering individuals to create the life they truly want to live. As a gift to listeners of the show, Emma is giving you one month free access! to her online Stay Stoked Community, which is full of resources to help you create whatever you choose in your life! Please use this special link to sign up!! Once you are signed up, click right here on this sentence for access to the community! Emma is active on both Instagram and Facebook. She would love to connect with you. Here is the Want List Emma referenced, as well as access to her Be Deliberate site. Enjoy the “Curiosity Driven Life” speech Elizabeth Gilbert gave on Oprah’s Super Soul Sunday. When I’m learning and expanding my world view, it’s not uncommon for me to experience discomfort alongside the learning. Typically that discomfort appears in the form of doubt, anxiety, frustration, a desire to quit, self distrust, fear of the future, or distractions. The good news is none of that is the “real” YOU; it’s your ego. And your ego has a really loud voice so we have a tendency to pay attention to the loudest voice. . . until we train ourselves to listen to a different voice. In this video I talk about the differences between those two voices in your head. If I had a nickel for every time someone asked me about balance in my life. . . . Ever wonder how to answer that question? Or how to create it in your own life? What IS balance, anyway? Does anyone have it? How did they achieve it? And better yet, how do they maintain the seemingly impossible? When you see someone else who apparently has it all together, do you long for a life that isn’t the one you’re currently living? It’s okay. Let all that out. And watch this video. If you’re not hustling you’re not winning. Is that true? What is hustling, anyway? I want to suggest that what works (systems, programs, implementations, processes) for someone else may or may not work for you, but what will always work is for you to follow your commitment. If you’re committed, you’re “all in,” and when you’re “all in,” follow THAT commitment and you’ll know exactly what to do. That’s where the magic lies — inside of you.